Your brand is simply the perceptions you create. It’s how you make your customers, staff and suppliers feel about your business, product or service. Managing your brand allows you to become knowable, likeable and trustable. Your brand is so much more than your logo, or the external image you create. It’s everything you stand for. A rebrand involves changing perceptions of your business, through your branding, logo, colours, typeface, images, messaging and marketing communications, so your customers perceive you in a new way. It allows you to realign perceptions, re-positioning your business in your chosen market so your customers choose you. It’s a strategic and visual make-over that affects buying behaviours. I’ve managed many successful rebrands over the years, leading to amazing results like my client becoming no1 in their market. But many small business owners get this wrong. They start with design – the ‘branding’ visual identity, rather than the brand (perceptions and strategy). This often leads to a brand that doesn’t connect with your customer and fails to change perceptions. You have to start again 12 months later. It costs your business dearly – in money, wasted time, missed client opportunities and lost earnings. 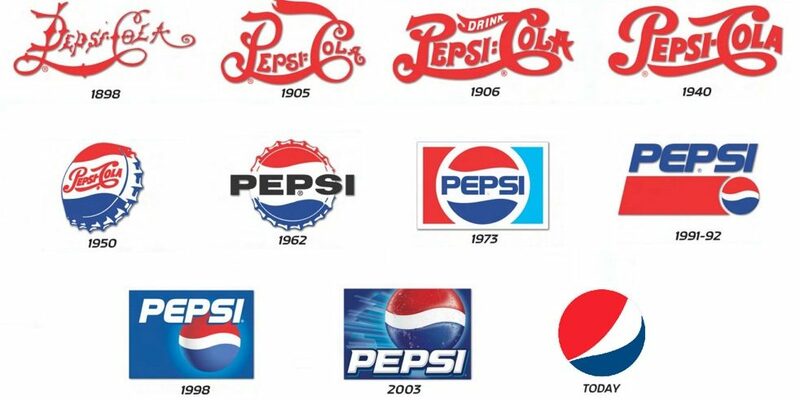 When do you need a rebrand? The no1 mistake that people make is to take this to a designer first. The first step is to work out your brand strategy. What perceptions do you want to create? What’s your brand purpose, your why? What brand touchpoints do we need to use to change perceptions of our ideal customers – social media, website, business cards, emails, Facebook ads, packaging, signs and more. Create a full plan and budget before you begin. If you’re considering a rebrand take my course, 30-day brand strategy: influence more customers to choose you. Or join Brand Bootcamp for more free resources where you’ll find a free training video on managing your rebrand. What is positioning and how you can use it to influence more customers to choose you? Positioning. It’s one of those marketing concepts that isn’t often understood by small business owners but is crucial to your success. Positioning is designing and communicating your offer so it occupies a clear space in the market in the mind of your ideal customer. It is used to influence perceptions of your brand so they see you in a certain way. It’s how you communicate a clear point of difference in comparison to your competitors so that they understand why you are the number one choice for them. Consumers are faced with 6,000 brand decisions every day. When they’ve decided they want your product they’ll look around the marketplace and make buying decisions based on the perceptions they have and what is important to them. So you need to understand how you position your brand so that your customers choose you. If you don’t they’ll overlook you or become confused and choose someone else. You will be making buying decisions every day because of how that brand is positioned. Your choice of car is down to how the marketing bods at said car company have positioned them in comparison to similar cars in the same market. The most obvious differentiating factors are quality and price, but other factors can come into play. A Volkswagen Golf, Audi A3, Seat Ibiza are all pretty much the same car, built by the same manufacturer. But they have been positioned differently to alter your perceptions of their quality and price so that they appeal to a unique slice of the market. Your customers are going through this same decision-making process. Understanding your positioning will allow you to gather a slice of the market and influence them to choose you. How do you position your brand? What is most important to your ideal customer? What makes you different? Start with price and quality – what else? Decide on the two most important. 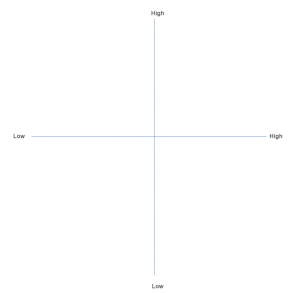 Decide where your brand sits currently – what are current perceptions? Do you want it to be somewhere else? Map this point on the graph. This is your repositioning journey. Map your competitors on the same scale. Do you own your own space, if not can you adjust it? 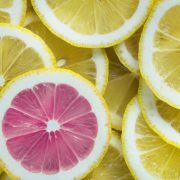 Create a clear positioning statement that communicates your unique position and use it across all your brand communications. Want to know more? Join Brand Bootcamp for free learning on positioning your brand. Our free Facebook group has a free training video on this. Or take my 30-day brand strategy; influence more customers to choose you course. You’ll learn how to create a full brand strategy that will ensure your customers choose you every time. https://www.wearecircle.co.uk/wp-content/uploads/2018/11/lemon-3303842_1920.jpg 1178 1920 We Are Circle https://www.wearecircle.co.uk/wp-content/uploads/2014/03/we-are-circle-logo.png We Are Circle2018-11-13 13:02:252019-01-17 15:52:43What is positioning and how you can use it to influence more customers to choose you? 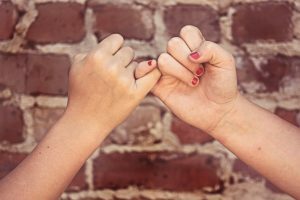 How do you create your brand promise? 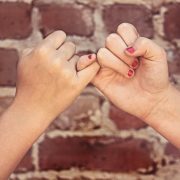 A brand promise is the promise you make to your customers about what they should expect from working with you. Often used as your strapline, tagline, or slogan it’s the first thing that your customer will read about your brand. It’s a short, simple, memorable way to explain what your brand is about and the value you offer your customers. It creates the initial perception of your brand. Get it right and your ideal customer will choose you. This comes up time and time again as a key challenge for my clients, so I wanted to try and make it really simple for you. The reason it is so challenging is that it can only really be done once you’ve created your whole brand strategy. Develop your brand strategy and you’ll understand how to influence more customers to choose you. To do this you need to understand your ideal customers’ motivations, their desires and their fears. You also need to understand how your offer will give your customer what they need – what makes you different, how you help and what you do. Once you’ve got all this you can distil it down into a few words and hey presto! It’s no shock that marketing agencies get gazzilions to do this. Get it right and it can make your brand soar. 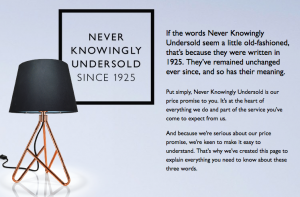 3 simple words that sum up their price promise, a reason to choose them above the competition. It also overcomes an objection for a customer entering their store and has been around since 1925. 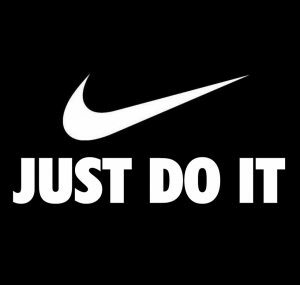 These 3 words were first used in a marketing campaign in 1988 that saw Nike’s market share rise from 18% to 43% It conveys an action and is motivating. It makes us believe we can become an athlete too, if just do it (and wear a Nike shoe). This famous brand promise was written in 1947. It’s much more literal than the others as it explains what they sell (this is something that small businesses often need to do). 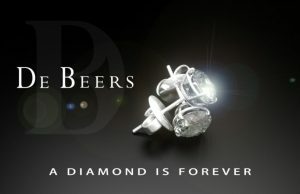 The campaign was created to help sell diamonds, and the engagement ring concept is said to have been invented off the back of this promise. What could your brand promise communicate? How do you make your customers lives better, richer, easier? Why do people need you, want you? Why would someone choose your brand over the competition? You should now have some keywords. Include what you do, as it may be important to explain this if it’s not clear from your brand name. Put them on post-it notes, or into a document and play around with them. Use a thesaurus to explore alternative words. Distil it down into a sentence ideally no longer than 6 words long. I’ve just shared a video about this in Brand Bootcamp, our free Facebook Group. To join click here. Do you want to influence more customers to choose you? You can download my free eBook and receive a series of free brand strategy ideas direct to your inbox here. https://www.wearecircle.co.uk/wp-content/uploads/2018/09/pinky-swear-329329_1920.jpg 1279 1920 We Are Circle https://www.wearecircle.co.uk/wp-content/uploads/2014/03/we-are-circle-logo.png We Are Circle2018-09-06 16:08:412018-09-06 17:12:06How do you create your brand promise? People buy people. We like to spend our time with people we like and respect. So there’s nothing more powerful than using your personal brand to reach more customers. Your ideal customers get a chance to interact with you, benefit from your knowledge and warm to you as a person. There’s a huge demand for transparency and authenticity. We don’t want to buy products from a faceless organisation. Think of some of the biggest, most successful brands in the world – Virgin, Apple and Amazon, and you’ll immediately picture Richard Branson, Steve Jobs, and Jeff Bezos. We like to know the people behind the brand, even the huge global ones. So your personal brand is more important than ever. It’s the key to building the business of your dreams. You are the greatest asset your business has. Your knowledge, expertise and everything that makes you, you. But how do you uncover the best bits of you so you can leverage your personal brand? It’s about uncovering your superpowers. The things that make you, you. The best version of you. My suggestion is to ask 5 people who know you really well. This could be your family, friends, clients, colleagues. Text or email them and ask them to describe you. You may be surprised about the kinds of superpowers you uncover. We tend to be hypercritical of ourselves, so finding those little personality gems that others see in us can sure give us a boost. Decide on the 3 most important superpowers. Write them up on a post-it note, display it on your desk and make sure you channel your superpowers in every post, video, image and campaign you create. What are your personal values? Decide what you really care about and live and breathe them in everything you do. Your audiences will soon get who you are as a person. Building your brand is the art of becoming knowable, likeable and trustable. A good friend of mine takes this one step further. She has an alter ego, Flamenco Frieda. Frieda is sassy, powerful, feminine and pretty amazing. When she needs her, she channels Frieda and brings forward the best version of herself. Beyonce uses the same technique as Sasha Fierce. 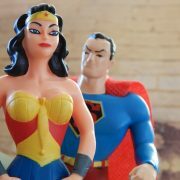 Let me know how you get on at uncovering your superpowers. Be the best version of you. Join Brand Bootcamp for more tips, strategies and ideas that will help you build your brand. 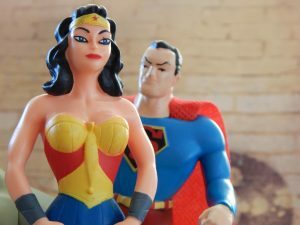 https://www.wearecircle.co.uk/wp-content/uploads/2018/08/wonder-woman-552109_1920.jpg 1440 1920 We Are Circle https://www.wearecircle.co.uk/wp-content/uploads/2014/03/we-are-circle-logo.png We Are Circle2018-08-10 14:26:502018-08-10 15:01:05What's your superpower? Do you know that we make 35,000 conscious decisions every single day? We are bombarded with choices. We live in a society overwhelmed with demands on our time. According to Ofcom we now check our mobiles every 12 minutes. So how do we ensure that once we have our customers attention, they choose us against a backdrop of all this noise? Our brains work like computers. We are hard-wired to make decisions through associations. Understanding those associations so that your ideal customers get you, interact with you, like you and choose you is where your brand strategy comes in. Your brand strategy shapes perceptions of your products/services so that your ideal customers choose you. Your customers will not make a decision to purchase with a question in their mind. 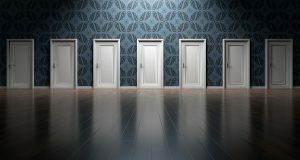 To make sure your customers choose you, you must ensure your marketing communications are not leaving them with these 4 questions in their mind. If your customers are asking themselves these questions, they will not choose you. These are the 4 mistakes to avoid. An inconsistent brand will confuse your customers. They will question their decision to choose you and move on to someone else. Consistency across ALL your brand touchpoints is a must. Whether it’s in person, online or offline. Do a quick audit – does everything you do and say represent your brand consistently? Is it creating the perceptions you want to convey? Provide your customers with social proof. Reviews, testimonials, anything that will reassure them that they can trust you. Make sure your brand doesn’t include out of date information. Paint a picture of the results that you’ve achieved for people just like them. Believability and authenticity are so important. We’ve all seen the social media adverts that look too good to be true and just don’t work. Make sure that everything you say and do is believable. Use real people where possible. Show your staff in your images, use videos to show the real business. Communicate how your brand can help them. Speak to your ideal customer. Show you understand them and the challenges they are facing. Explain the benefits. Make sure they feel that this is for them and explain who it is not for. Take a look at your brand. Are you making any of these mistakes? Are there unanswered questions? If so, make sure you answer them before your client moves on and chooses someone else. Avoiding these 4 mistakes will ensure your ideal customers choose you. If you need help with your brand strategy contact us today. What do you need to do to get your marketing data GDPR ready? General Data Protection Regulation (GDPR) is here. Its aim is to dramatically increase the control individuals have over their personal data, so it affects all UK companies, big and small. From May 2018 it is a legal requirement for all businesses to have the correct GDPR regulations in place. Get it wrong and you could face fines up to €20 million or 4% of a company’s global annual income, whichever is greater. https://www.wearecircle.co.uk/wp-content/uploads/2014/03/we-are-circle-logo.png 156 156 We Are Circle https://www.wearecircle.co.uk/wp-content/uploads/2014/03/we-are-circle-logo.png We Are Circle2018-01-30 17:16:302018-08-03 11:46:33What do you need to do to get your marketing data GDPR ready? We are delighted to announce that Physio First’s new website has been shortlisted for a prestigious industry award. 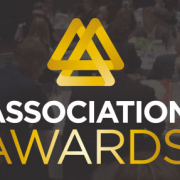 The Association Awards, organised by the Association of Associations Executives, raises the profile of association executives globally and gives them the recognition they deserve for their effort and success. Physio First’s website has been shortlisted for Best Association Website. The winners will be announced at a Gala dinner on 17th November in London. 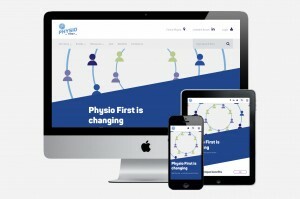 The website was developed to be the main communication vehicle for Physio First’s new market position. This followed a period of insight gathering and strategy and a total brand transformation. We Are Circle reviewed and selected the right web development partner, project managing the design, development and content. We selected web agency Pixl8 and also worked with Physio First’s MRM partner MTL. This also included leading the copy development, working with a professional copy-writer from Pages Creative. Take a look at the website here: physiofirst.org.uk. Read the full case study. Take a look at the shortlist. Good marketing copy: to capitalise, or not to capitalise? Anyone who has worked with me will know I spend a lot of time creating powerful marketing messages. One of my biggest bugbears in copy is the overuse of capitals or Title Case. There is a trend in business writing to turn words into capitals, making the word sound ever so important. The problem is, it doesn’t. It also isn’t grammatically correct. What’s worse, it makes it much harder to digest the information. With so much noise in the marketplace, it is essential that your customers can quickly and easily digest your marketing message. If not, you may well lose them. So please, no more capitals. So your headings should not be in capitals. Those products that aren’t really products, they shouldn’t be in title case, departments definitely not, anything you are trying to make seem important, please beware. Unless it’s a proper noun, place or person it shouldn’t be in capitals. If you are just not sure leave the capitals out. Here’s what the most influential newspapers say about the overuse of capital letters. https://www.wearecircle.co.uk/wp-content/uploads/2014/03/we-are-circle-logo.png 156 156 We Are Circle https://www.wearecircle.co.uk/wp-content/uploads/2014/03/we-are-circle-logo.png We Are Circle2016-08-09 18:16:552016-09-06 17:17:38Good marketing copy: to capitalise, or not to capitalise? We have created a full brand transformation for Physio First, the membership organisation for private physios in the UK. It’s been the biggest project we have worked on to date. Combining 30 projects including strategy, web, print, social media, video, email and more. We worked across a large decision-making unit, with multiple agencies and suppliers to make it all happen. Take a look at what we have achieved here. We have delivered a marketing strategy for transformational business change experts Step5. 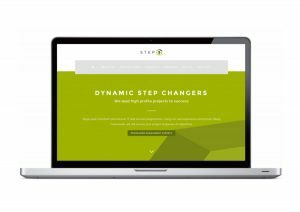 First we used insight to craft a new strategy, then we created all their new comms and a new website. This month we launched a new service – cybersecurity. Medisoft is the UK’s leading supplier of electronic records for ophthalmology. 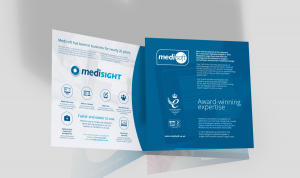 We have worked together for several years developing their communications and their new brand, mediSIGHT. We launched it to market in May with a new brochure, event stand, stationery, new website pages, a rolling presentation and email campaign. Our estate agency client Wm Sykes & Son, celebrate their 150th anniversary this year. We developed a heritage brand and we are currently working on their plans which includes a charity ball in the late summer and a special history booklet. 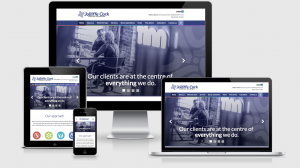 We created revamped the website designs for accountancy firm Jolliffe Cork, working with their agency Practice Web. The image-led site uses real-life images of staff and clients, taken in a professional shoot. Following the development of a diagnostic report for bathroom and home improvement retailer Passmore Group in conjunction with Morgan Agency, we have been working with their marketing team to help them implement their plans. This has included the development of a full customer value optimisation plan using lead magnets and online marketing. 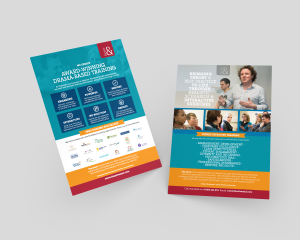 We developed a marketing strategy for our longest-standing client, Theatre& and supported them with an advertorial, leaflets and emails. 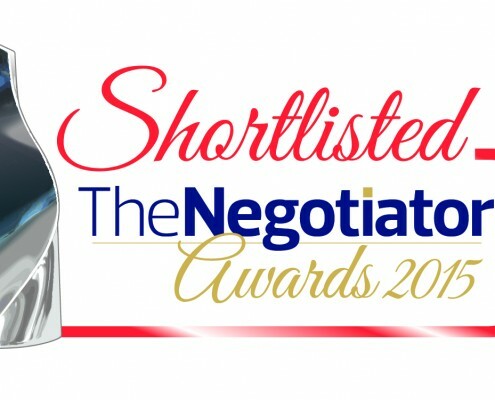 We are delighted to announce that our estate agency clients, Wm Sykes & Son, have been shortlisted for two prestigious awards. 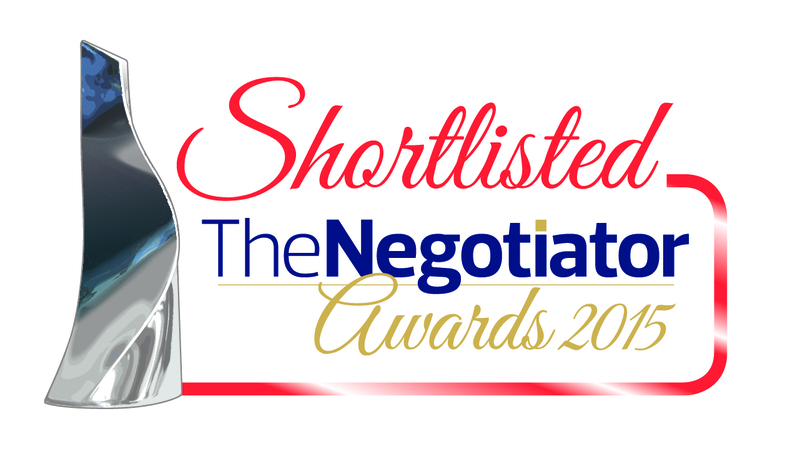 The Negotiator Awards are recognised as the Oscars of the residential property industry. Wm Sykes have have been shortlisted for two awards; ‘Yorkshire and The Humber Agency of the Year’ and ‘Marketing Campaign of the Year’. We are particularly pleased about their recognition for marketing campaign of the year, which is for the strategy, rebrand and marketing transformation programme delivered by We Are Circle. Since launch they have grown their market share to 15.5% and have gained 51 more new instructions than their closest competitor. They are now number one on the market by a long stretch. 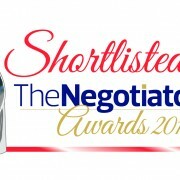 The 2015 Negotiator Awards received its largest number of entries in its history. 360 entries from estate agents, lettings agents, property managers, auctioneers and industry suppliers from every part of the UK entered the awards. The winners and finalists will be revealed at a gala awards dinner on November 3rd at The London Hilton on Park Lane. Take a look at the shortlist here. Read the full Wm Sykes & Son case study here.